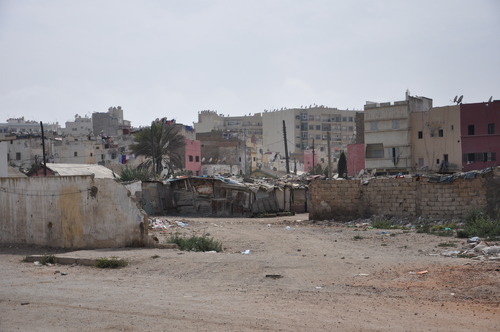 My first experience in visiting African country and I was so much excited about that. 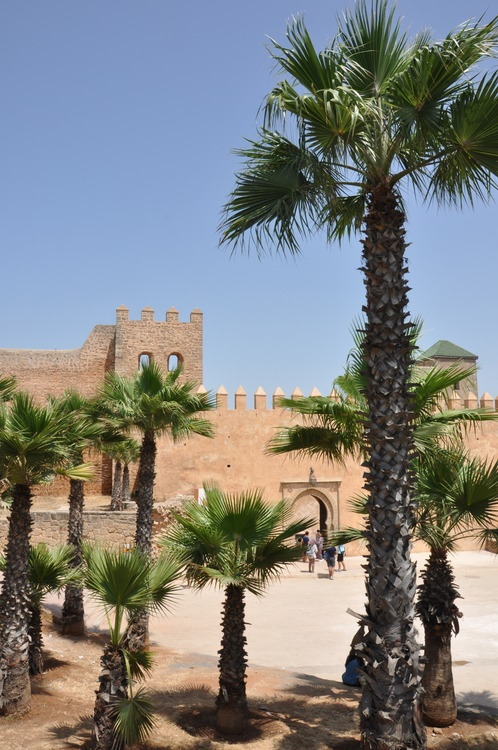 I can`t say that we were confident about this trip, because mostly all the touristic blogs we`ve seen gave us a wrong perspective about Morocco. 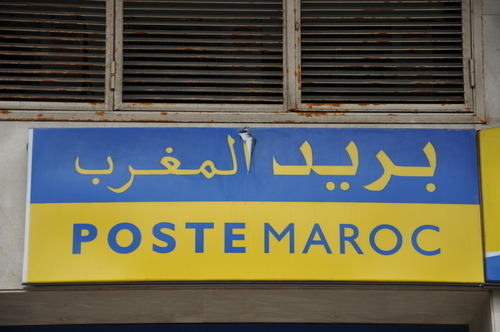 Actually this was the reason why I decided to start my own story about the Kingdom of Maroc. Acquaintance with African continent has started from the airplane when we found out that our neighbor is Moroccan guy who are living in Ukraine since last 10 years. This guy told us his exciting story and put the light on how things going on in Morocco along with some advises. Watching African continent through the iluminator of the airplane was such a pleasure… We wanted to sleep so much, but I could`t manage myself to interrupt my observation of Desert, Ocean, Africa, and amazing silhouette of solar Morocco from the skies. 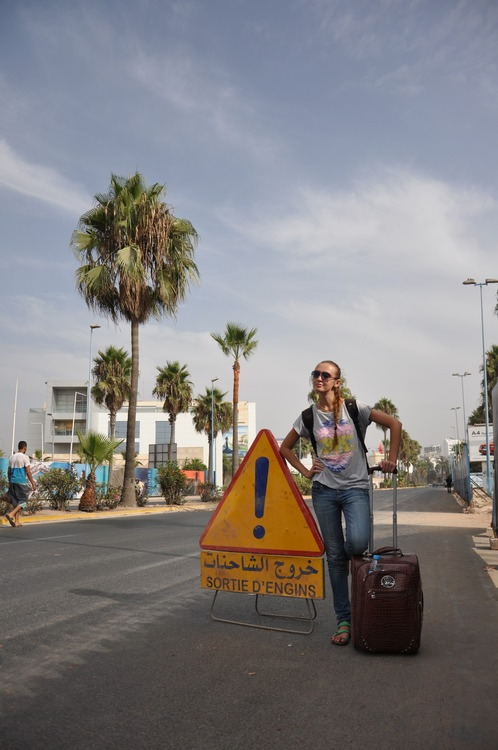 When we have landed in Casablanca we immediately felt how “warm” this country is. Airport of Mohamed 5 – the largest airport in the country. 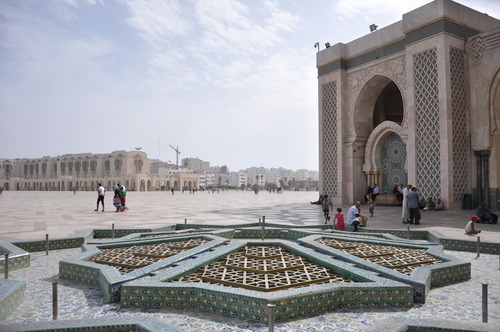 To my mind there are even more people than in Chicago O`Hare International Airport… From the airport our adventures and exploration of Casablanca – the business capital of the Kingdom of Morocco has started. 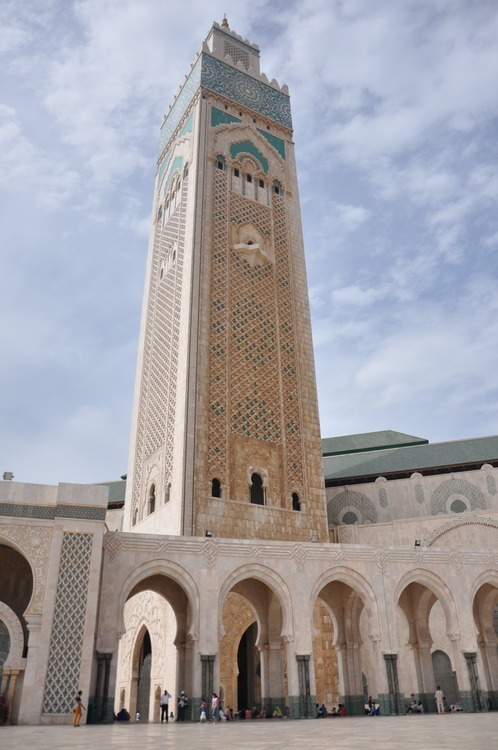 Our first destination to see in Casablanca was the Mosque of Hassan 2, which is the main attraction of the city. 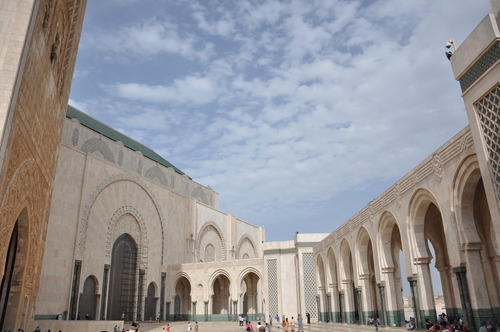 It is located right next to the ocean and there are many of people around the mosque all the time. Youth people were hanging out near the mosque, swimming and having fun. Our exploration was interrupted by noisy crowd of boys who were running from the mosque into the direction of nearby street… In a few minutes they appeared carrying many of Coca Cola Light cans. They were trying to tell us something but in Arabic or French which we don`t understand. But thirst made us find the way and as we understood there were free Cola on the next street. 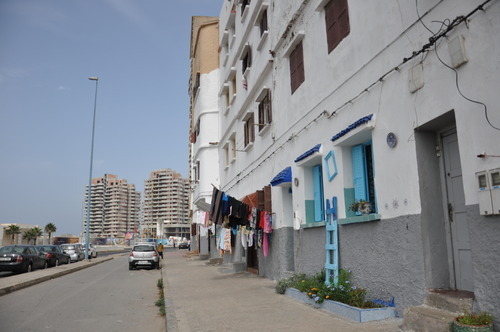 After the short exploration of Casa we went to Rabat – the capital of Morocco, where we lived in international hostel close to the city center. 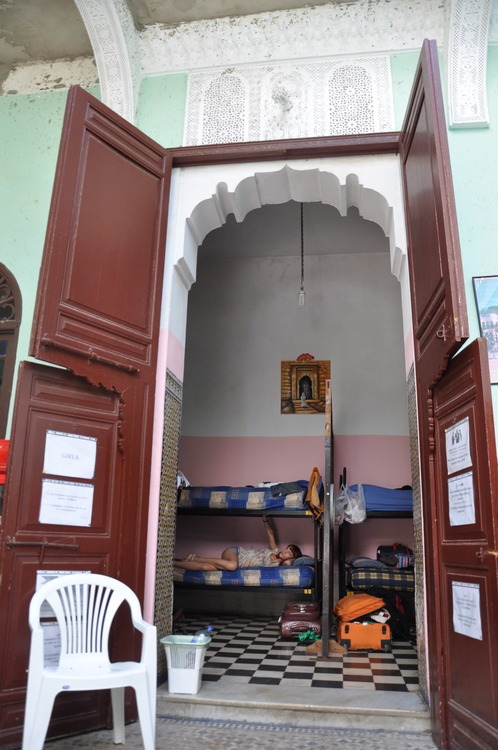 The hostel was in Arabic style with the small riad inside.